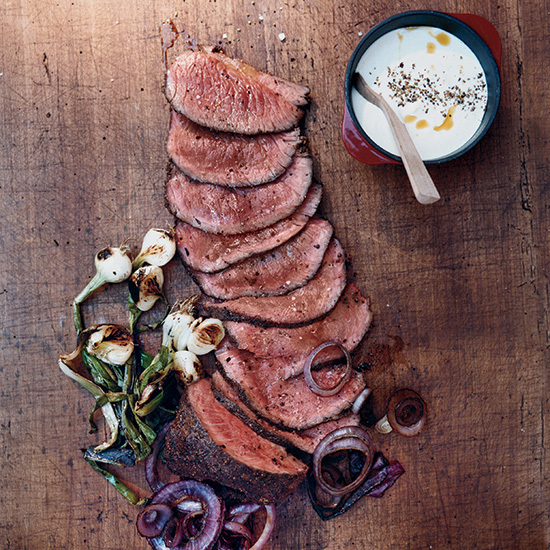 Great recipes for the other red meat: bison. Call it the other red meat: Bison packs an earthy, musty flavor, and if it's grass-finished, it's more sustainable than traditional beef. Plus, it has a third fewer calories than beef thanks to its low fat content, which is good news for the health-conscious carnivore. But it might be daunting for the cook who has to prepare it. After all, beef steak gets a lot of its flavor and tender texture from marbled fat. So how do you cook ultra-lean bison without just wrapping it in bacon? 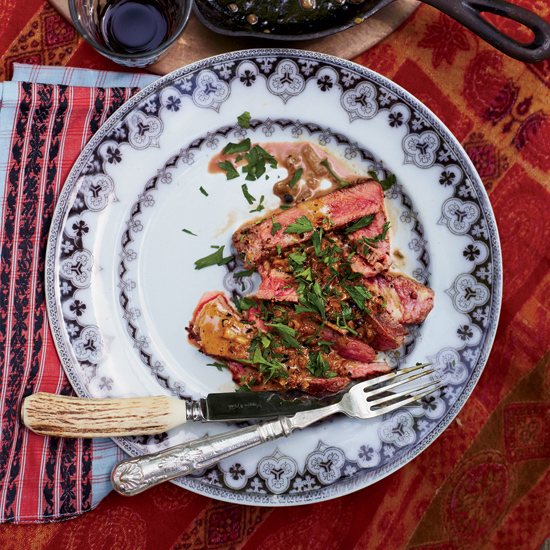 Grilling is a great option, or try quickly searing steaks in a hot skillet. 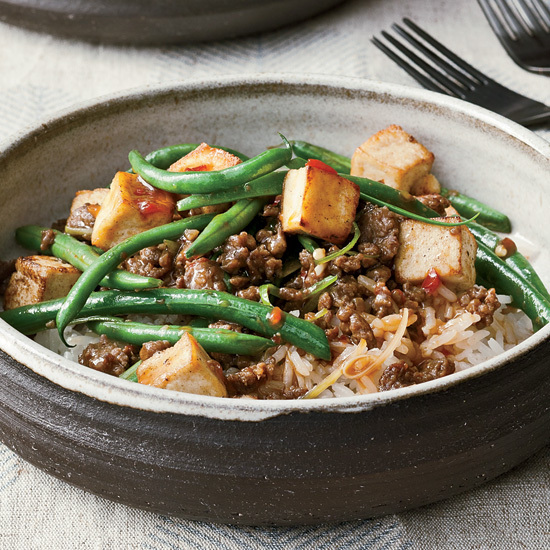 Ground bison is also delicious and easy to swap in to any dish that calls for ground beef. Here, our best recipes for bison meat. 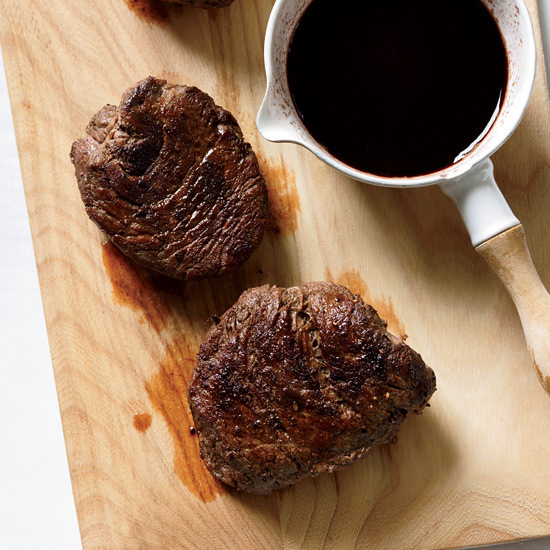 The crispy-crusted steaks in this recipe are delicious with the sweet-tart balsamic glaze. 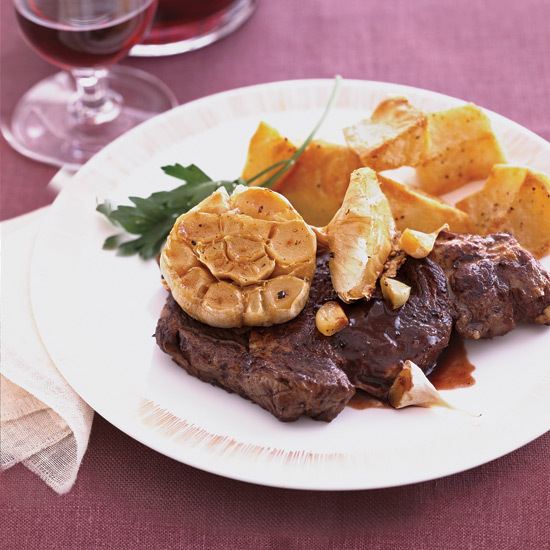 Sweet roasted garlic adds a ton of flavor to these juicy steaks. Chris Cosentino spices his bison strip loin with juniper, since juniper berries often grow where bison graze. 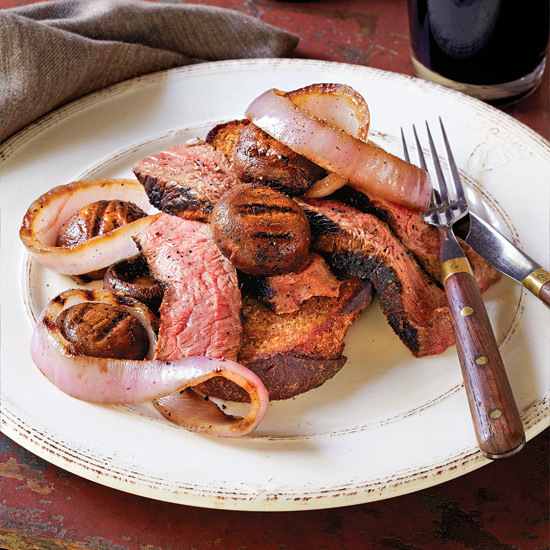 Chef Bruce Aidells's Guinness, soy sauce and molasses marinade adds moisture and a sweet-hearty flavor to these delicious steak sandwiches.